SunRun, a San Francisco start-up that leases rooftop solar arrays to homeowners, said Tuesday it had raised $55 million from investors. The equity investment led by Sequoia Capital, a prominent Silicon Valley venture firm, is one of the largest made in a solar leasing firm and a sign that companies are poised for a major expansion beyond the industry’s core market in California. The investment follows a $100 million tax equity fund PG&E Corporation, the utility holding company, created last week to finance residential solar installations for SunRun customers. PG&E Corporation in January formed a $60 million financing pool for SolarCity, a Silicon Valley competitor to SunRun. 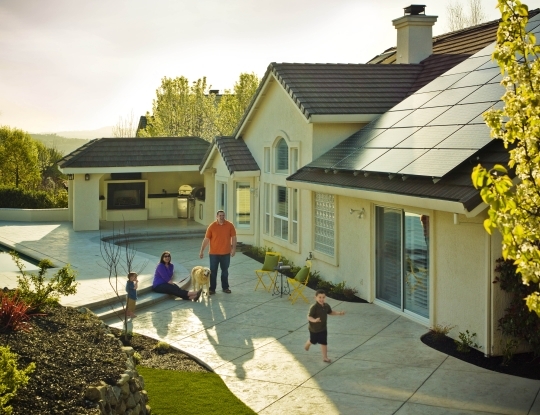 SolarCity is also tapping $190 million in tax equity funds created over the past year for the company by U.S. Bancorp. The investment is nearly double the $30 million SunRun had previously raised from Sequoia Capital, Accel Partners and Foundation Capital.